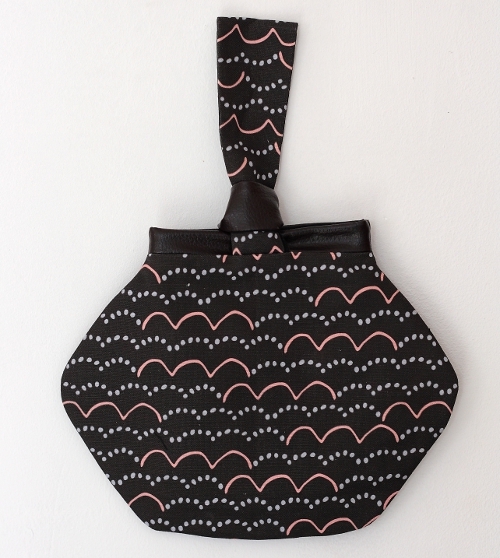 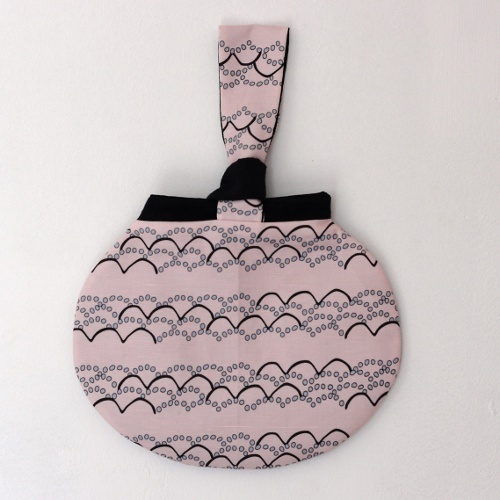 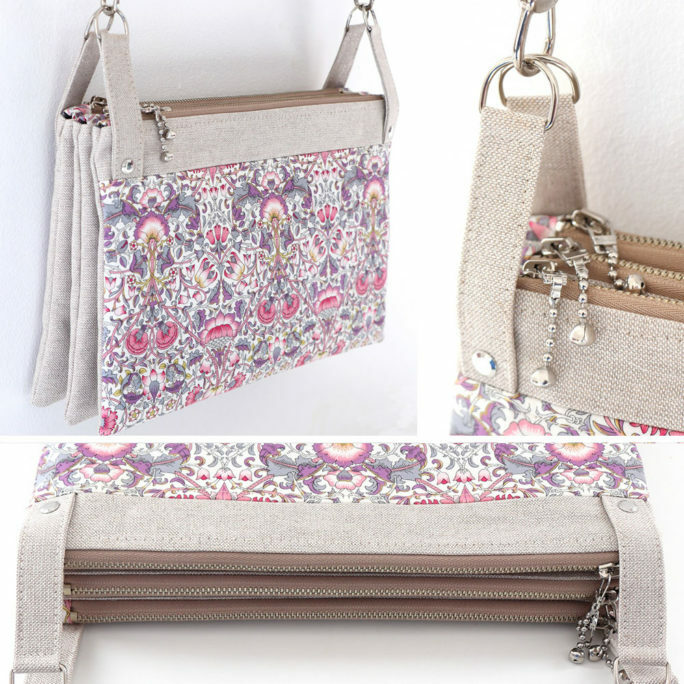 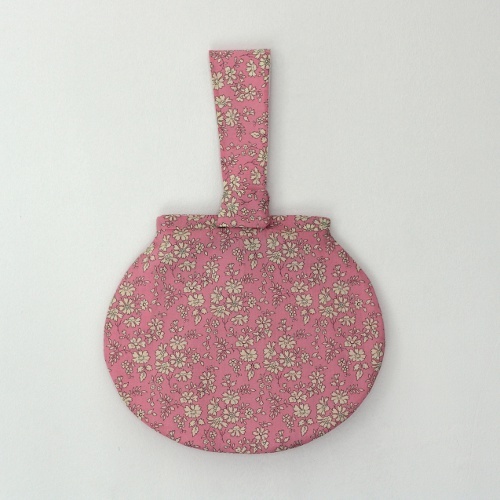 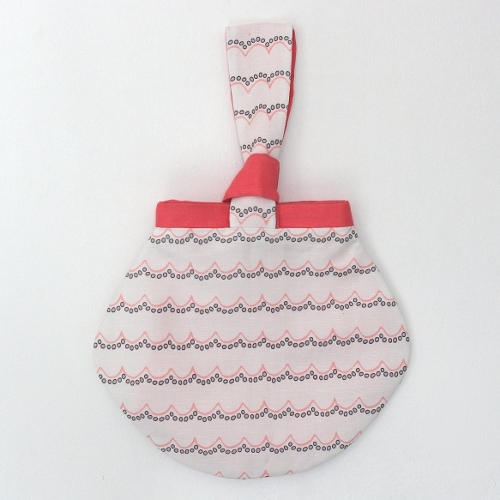 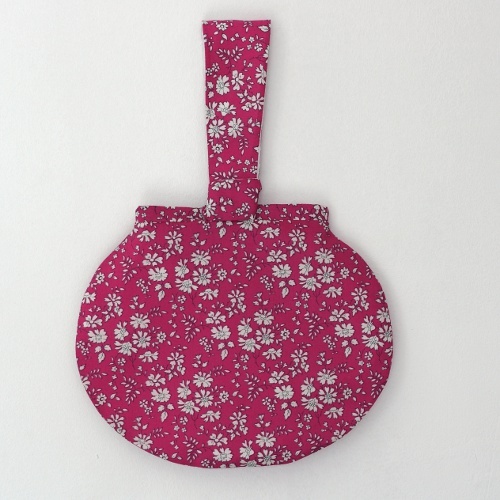 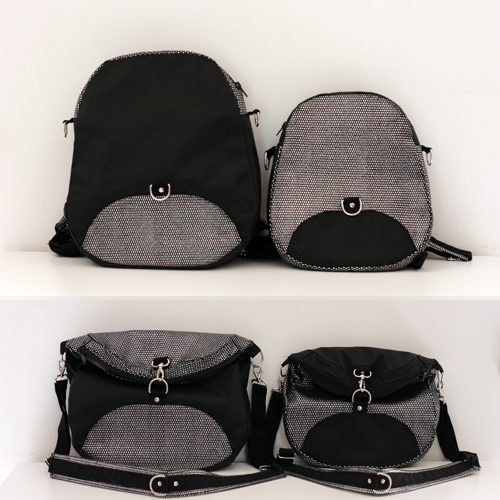 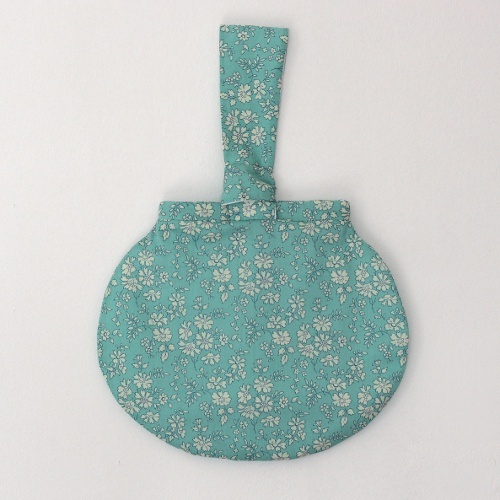 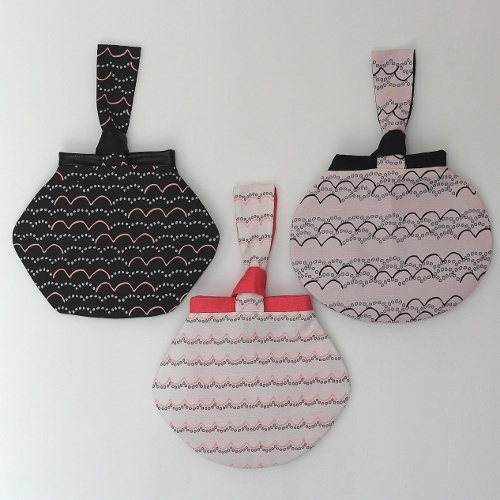 Kocotte is a pattern for a mini wrist bag to carry your essentials. 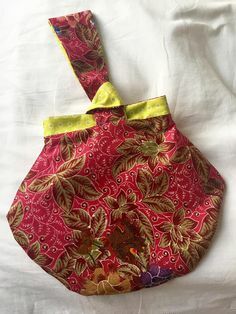 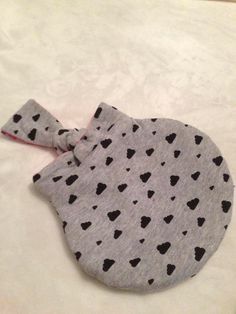 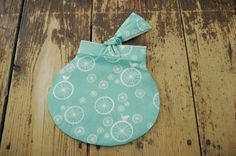 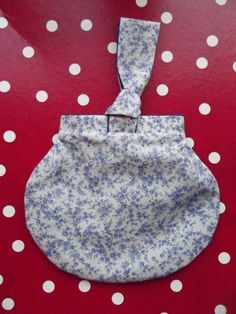 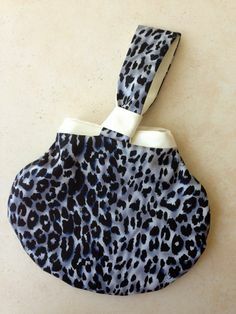 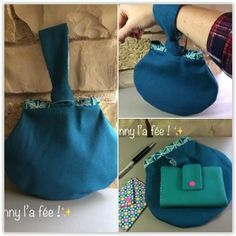 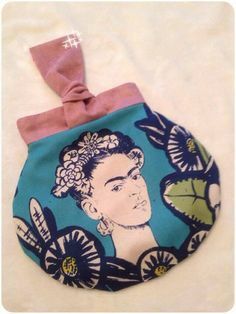 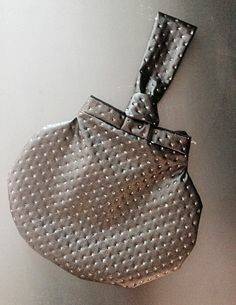 Very easy and quick to sew, this mini wrist bag may, depending on fabric used, be rendered into a chic evening or a casual version. 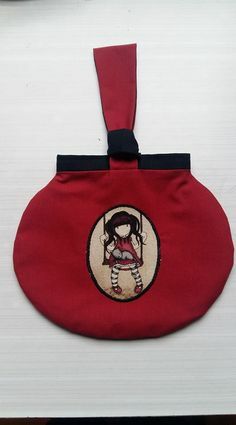 Little girls will love it too ! 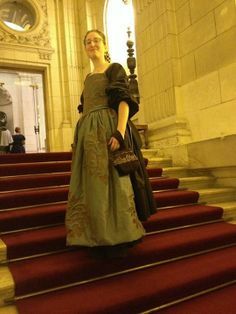 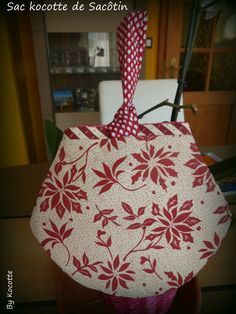 The modest fabric requirements makes it a great pattern to use your fabric scraps. 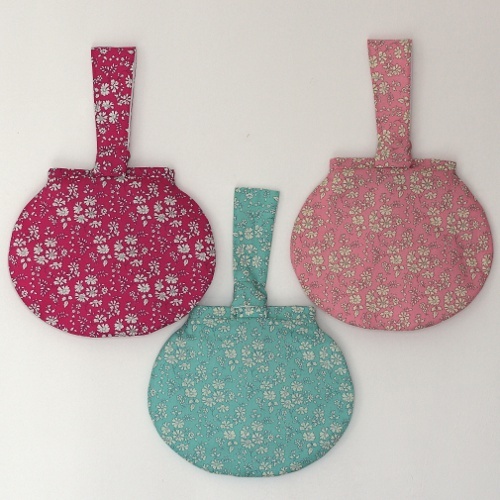 3 shape variations are included with your Kocotte pattern. 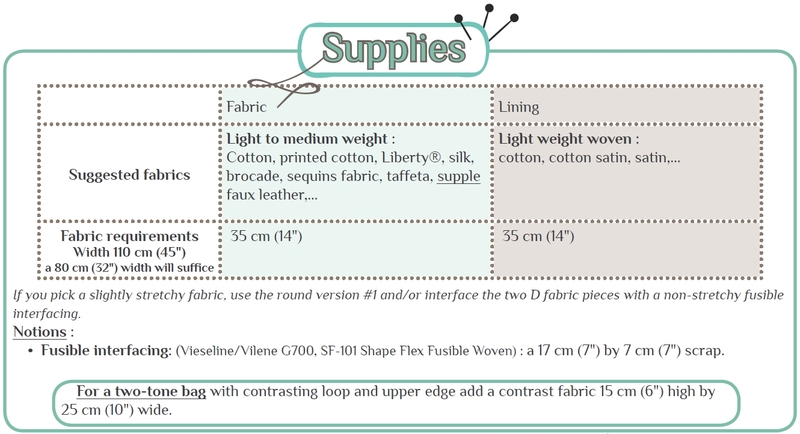 Dimensions approximatively : Width 23 cm (9″), height 20 cm (8″), handle height included 32 cm (12″1/2). 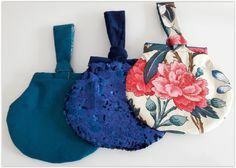 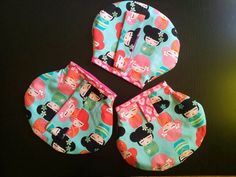 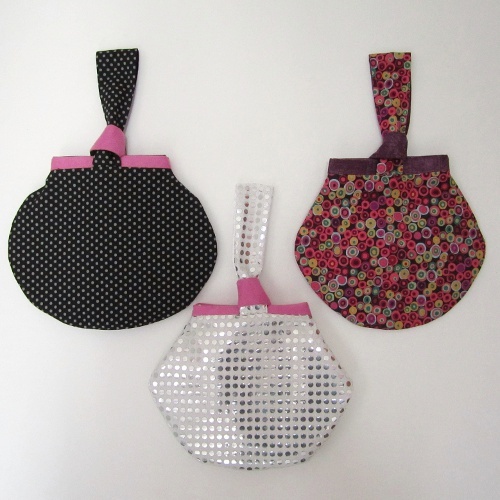 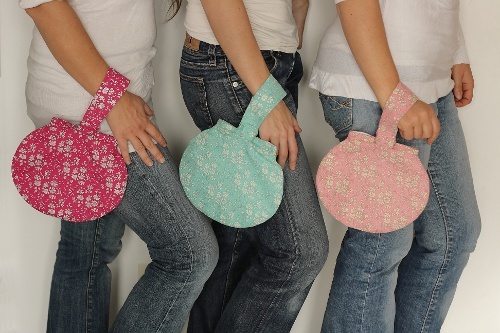 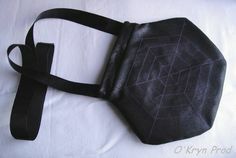 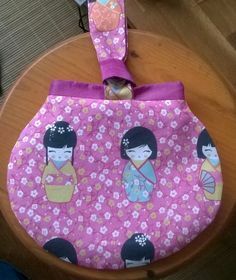 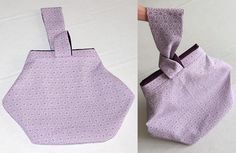 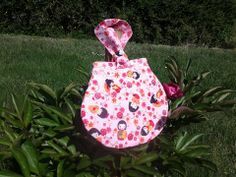 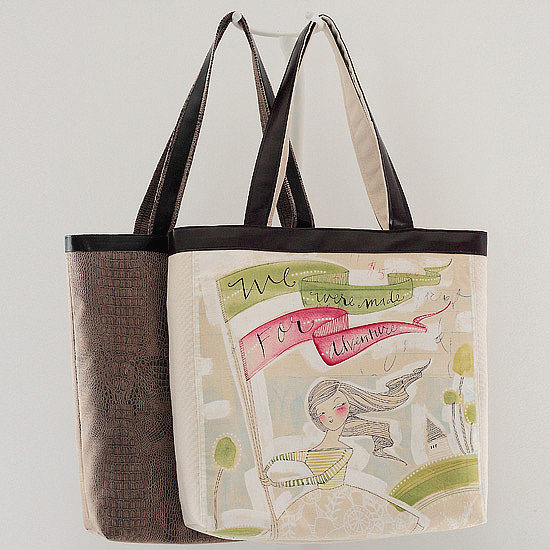 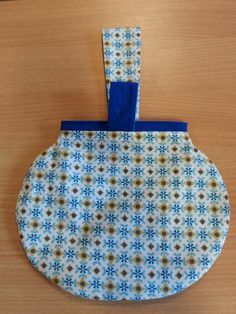 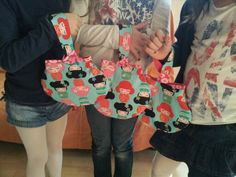 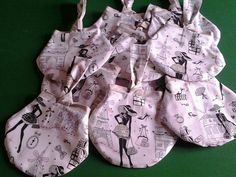 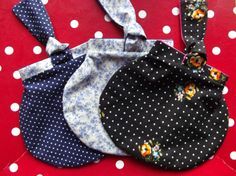 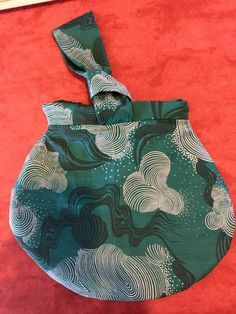 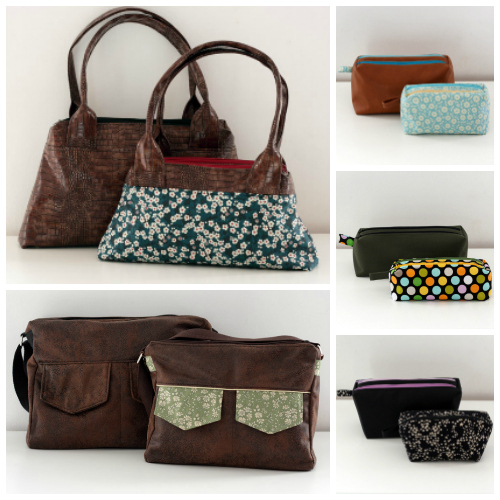 These are bags made by you, using the Kocotte pattern.